But as the recent U.S. Court of Appeals for the Seventh Circuit case of Great West Cas. Co. v. Robbins shows, holding each of these firms accountable isn’t always easy. According to court records, decedent died when his vehicle was struck by the the trucker who failed to yield. The trucker was working for a trucking company out of Iowa that was covered by a $1 million bodily injury liability policy doled out by Northland Insurance Company. That company owned the tractor, which was also insured under that same Northland policy. It was not disputed that Northland provided the primary coverage in the wreck. If plaintiff’s damages had been less than $1 million, it’s likely there would have been no need for this dispute. 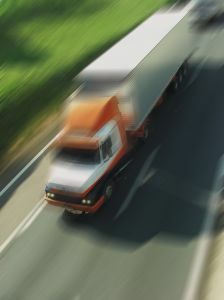 However, because someone died in this truck accident and loss of life is not so easily quantified (wrongful death cases often warrant six-figure damage awards), this claim was in excess of $1 million. That meant plaintiff (decedent’s widow and administrator of his estate) looked to hold accountable the lessee and owner of the trailer – two separate entities that were both covered under a single $5 million liability policy held by Great West Casualty Co. So plaintiff sued the truck driver and the trucker’s employer, which by extension meant Northland would defend and indemnify. Initially, she also sued the lessee of the trailer, although the case against that entity was later dismissed. At that point, plaintiff moved for a summary judgment against Great West, requesting the court find Great West was responsible for defending and indemnifying the trucker and her employer/ tractor owner. Joined in this action was a third insurer, Continental Western Insurance Company, which had provided auto insurance to decedent for his vehicle. Great West also filed a cross-motion for summary judgement, arguing it shouldn’t have to indemnify the trucker or the trucking company under its listed exclusions. Plaintiffs argued that even if the exclusions did apply, they weren’t valid under Wisconsin law, where the trailer was registered (the lessor and owner of the trailer were based in Missouri). Ultimately, the district court granted Great West’s request for summary judgment – applying Missouri law in weighing the language of the contract – and the Seventh Circuit affirmed. The courts both held that the exclusions – which included one for companies using the trailer for business purposes outside those of the insured – should apply.